These bees are a bit different from most bees. They do not live in a hive like a honeybee, nor do they nest in the earth, like a ground bee. But rather, they make their home in soft woods – including the siding of your house. Because of this, they can be the bane of every homeowner (and every exterior painter)! The carpenter bee is so called because of where it chooses to make it’s home. They are solitary bees, and are not part of a larger hive community. Instead, they burrow into soft woods, such as the siding of a house, to live in and lay larvae. The female carpenter bee is the one who makes the hole by chewing through the wood. She creates a perfect hole, half an inch wide, in the wood. The symmetry of the circle is amazing, especially given they are making this hole with their mouths! Once burrowed inside the wood, they will usually turn 90 degrees and make a tunnel down the length of the piece of wood. 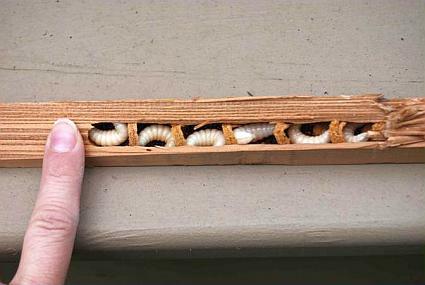 The larvae will be laid in separate chambers. Where are they found geographically? Geographically, carpenter bees can be found across the Southern United States, all the way up north of New York. They are also found in other parts of the world, such as Australia, where they have large carpenter bees. 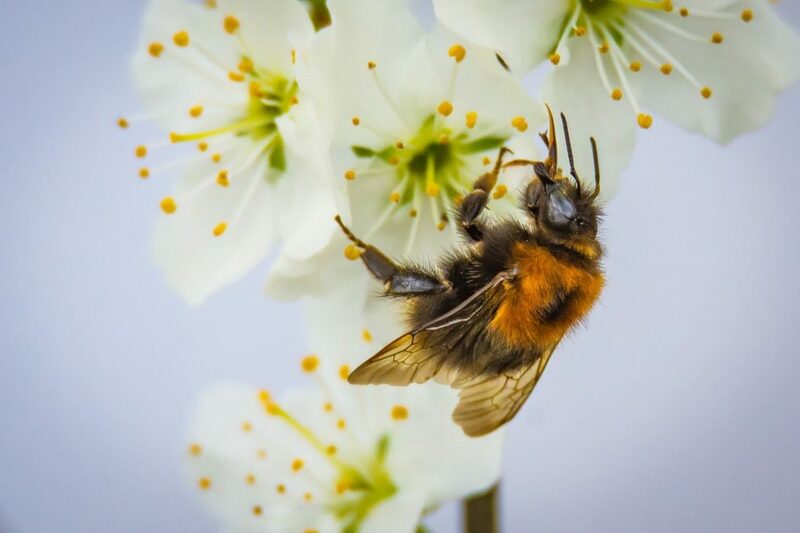 Like many varieties of bee, carpenters prefer warmer weather, and are most active earlier in the morning. 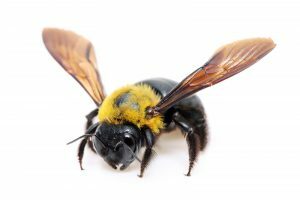 What damage can carpenter bees do? The damage carpenter bees can do to wood is quite significant. Half-inch holes in the side of your house is not something to be overlooked! One of the most expensive fix-ups on the exterior of a house is replacing siding. It’s far better to get rid of carpenter bees before it gets to this stage. Only the female bee has a stinger, and she will only sting if directly threatened. These are not an aggressive species of bee. However, although the male bee cannot sting, he is the one more likely to get up in your face if you get too close to a nest. You can identify the male by the white spot in the middle of his head. 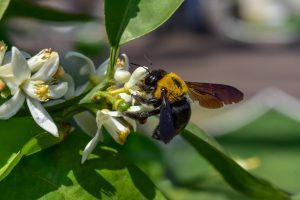 Is it reported that carpenter bees can harvest nectar without pollinating the flower. Because they are reasonably large bees, some flowers are too small for them to enter. Instead, they will cut a slit in the base of the petal, and drain the nectar that way. These bees can grow up to an inch long. The male bees die after mating with the female. 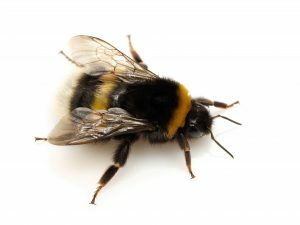 The female bee dies not long after laying larvae in the separate chambers of the soft-wood tunnel. Carpenter bees do not eat the wood that they burrow into. They spit it back out, leaving a pile of wood dust below the entrance to the nest. Thank you for reading. If you have any comments or questions, leave them down below.